The Elder Scrolls: Blades is an action role-playing game played from a first-person perspective. The game was designed specifically for mobile devices and features touch-screen combat that involves tapping, swiping, or using virtual dual-stick controls. Combat includes using melee weapons, magic spells, and ranged attacks. The game features dungeons that are both hand-crafted by designers and procedurally generated. Players can customize and level up their characters to enhance their abilities. Blades features three main game modes: Abyss, Arena, and Town. Abyss offers a roguelike experience in which the player must attempt to get as far as possible in an endless dungeon. Arena is a player versus player multiplayer mode in which two players battle against each other. Town is the game's main mode, which is a hub area where the player can progress the story, receive quests and meet non-player characters (NPCs). The player's hub town initially starts destroyed and they are tasked with rebuilding and upgrading it, which consequently unlocks more quests and NPCs. Players can visit their friends' hub towns. The Elder Scrolls: Blades is being developed by Bethesda Game Studios and published by Bethesda Softworks. The game was announced by Todd Howard during Bethesda's showcase at E3 2018 and was playable on the showfloor at the expo. Blades was released for Android and iOS devices as a free-to-play game on March 27 2019. Howard anticipated that Blades would be released on consoles and PCs in the future, along with supporting virtual reality. On March 1, 2019, Bethesda announced that they would be running an iOS-only closed beta for the game (with testers during that period kept under a non-disclosure agreement), prior to an early access release for both iOS and Android. 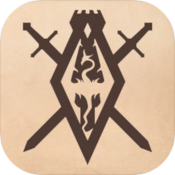 On March 27, 2019, that early access process began, when the release date for the iOS App Store version was brought forward to the following day (March 28, 2019), to coincide with celebrations for the 25th anniversary of The Elder Scrolls series. The Android version of the app was also made available from Google Play on that same release date. The store entries for the game state that it "will launch as early access", and players "must receive an invite to play the game" during that time. Bethesda confirmed that they were emailing invites to players in "waves". Following this invite-only period, on April 5th 2019, the early access version was made available to all players who are registered with Bethesda. The company stated on Twitter that "The gates to The Elder Scrolls: Blades are opening further. Excited to say that anyone with a Bethesda net account can now play." This message also included an acknowledgement of the feedback received from players to-date, and announcing forthcoming balance changes for the 'silver chest' in-game reward. This item had received negative responses from some players upon discovery that they required three real-time hours to open (without options available to open other chests in parallel or discard previous chests for a better one), thereby stalling gameplay.. In response to players' complaints, Bethesda reduced the time to open Silver chests to an hour and reduced the cost of opening it instantly from 36 to 12 gems. ^ a b c d e f g h Newton, Casey (June 10, 2018). "The next Elder Scrolls game is a beautiful mobile RPG named Blades". The Verge. Retrieved June 11, 2018. ^ a b c d e f g h Campbell, Colin (June 10, 2018). "The Elder Scrolls Blades is a first-person, free, mobile RPG". Polygon. Retrieved June 11, 2018. ^ a b c d Purchese, Robert (June 11, 2018). "Bethesda's new Elder Scrolls RPG for mobile looks really rather good". Eurogamer. Retrieved June 11, 2018. ^ Nelson, Jared (2019-03-01). "Bethesda Announces a "Closed Beta" for 'Elder Scrolls: Blades' and an "Early Access" Launch for Spring". TouchArcade. Retrieved 2019-03-22. ^ Funnell, Rob (2019-03-27). "'The Elder Scrolls: Blades' Is Launching Early, and Is Available to Download on the New Zealand App Store". TouchArcade. Retrieved 2019-03-27. ^ a b c Shah, Saqib (2019-03-28). "'The Elder Scrolls: Blades' hits iOS and Android in early access". Engadget. Retrieved 2019-03-28. ^ "The Elder Scrolls: Blades". Google Play. Retrieved 2019-03-28. ^ a b Lawler, Richard (2019-04-05). "'Elder Scrolls: Blades' mobile game opens its doors to more players". Engadget. Retrieved 2019-04-06. ^ Murnane, Kevin (2019-04-06). "'Elder Scrolls Blades' Has A Treasure Chest Problem". Forbes. Retrieved 2019-04-08. ^ Tassi, Paul. "'Elder Scrolls Blades' Nerfs Silver Chests, But The Entire System Needs To Go". Forbes. Retrieved 2019-04-14. This page was last edited on 17 April 2019, at 22:59 (UTC).